Brightly (Flicker #2) has been in the wild for a little more than two months, and I couldn’t be happier with how it’s been doing. As I mention in the acknowledgements, writing Brightly was one of the most difficult things I’ve done in my life, for many reasons. (Let me tell you right now: writing books is hard.) 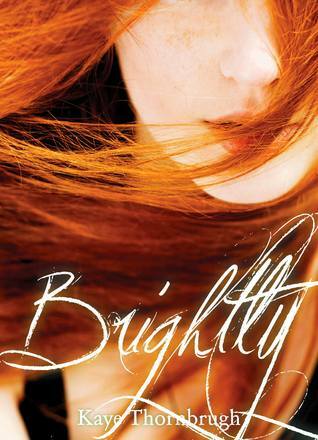 Now that Brightly is finished and published, though, I feel fantastic. I’m very proud of Brightly. It’s a good book. I believe in it. I was excited to share it–but I couldn’t help but feel nervous about what readers might think. That’s the fundamental difference between a first book and a second book, I think, at least from an author’s perspective. You’ve got one book under your belt and you’re (theoretically) more confident in your skills. You know what you’re doing. Your second book is (ideally) even better than your debut. But you never know if your readers will feel the same way. 2) Starting work on Book Three. This summer is going to be basically a three-month writing camp for me, during which I kick out as many words as humanly possible. Expect more updates on the Book Three front as I keep plugging away, including periodic teasers! If you haven’t liked my Facebook page yet, there’s no time like the present. I post many updates on Facebook first! In other news, it’s SpoCon season again! Well, sort of. The con is in August, which feels like a long wait–but I can confirm that I’m going to be attending as a pro again this year! This year’s Guest of Honor is none other than C.J. Cherryh, so if that doesn’t get you excited, I don’t know what will. You can see the other fabulous guests on the website.